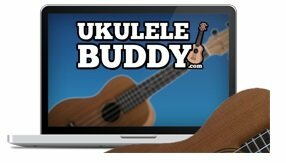 We wanted to see whether Ukulele Buddy’s online lessons were worth the investment, so we purchased the course, played along, and reviewed it step by step to bring you this in-depth introduction. In Ukulele Buddy’s online lessons, JP Allen and Mitch Chang team up to provide complete beginners with a solid foundation for a lifetime of strumming. In case you’re not familiar with JP and Mitch, let’s start with a brief introduction. JP Allen has spent over 20 years as a professional musician, playing and teaching ukulele and other instruments. Mitch Chang is a top instrumentalist as well – in fact, he’s considered a world-class ukulele teacher, and he also happens to be the producer of the Southern California Slack Key Festival and the Los Angeles Flamenco Festival. If you’re lucky enough to live in Redondo Beach, CA, you can take Mitch Chang’s ukulele lessons in person! enjoy, but the lessons themselves are for novices. The lessons take an average 12 to 15 minutes a piece, although some are longer or shorter depending on what’s being taught; basically, if you have a spare block of time, you can use it to take a lesson from wherever you happen to be, using the device of your choice. JP and Mitch start you out with a brief introduction to the ukulele, and then provide a thorough overview of some basic chords you’ll use to get a great feel for the instrument. 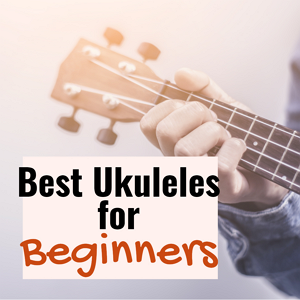 During the first few lessons, you’ll spend time picking up basic techniques for learning how to read and understand ukulele chord diagrams. Simple strumming patterns are introduced early on, along with important music theory basics such as timing, harmony vs. melody, and more. You’ll be playing along with a simple song by the end of the second lesson. 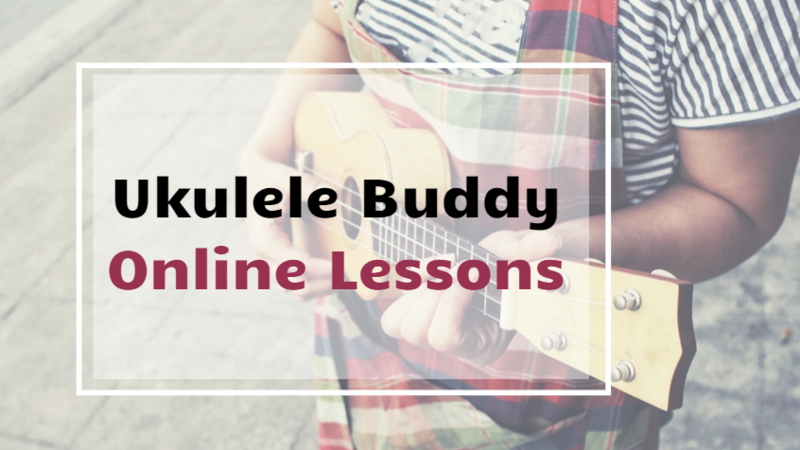 Ukulele Buddy lets you learn at your own pace. The lessons come with a suggested method for following along with the curriculum. Overall, it’s very well-organized in a step-by-step fashion that builds knowledge as you go. There are also suggestions for practicing on an easy schedule that prevents discouragement from setting in while allowing you to retain what you learned in the previous lesson. Each session was recorded in a professional studio, with good sound quality so it’s easy to understand the instructors. Camera close-ups provide a good look at chord formation, making it easier for you to get your finger position right. The instructors speak clearly, and the teaching method is simple and straightforward, with an emphasis on taking it easy and having fun as you learn. Unless you feel like practicing a lot and learning quickly, JP and Mitch recommend that you take an average of three lessons per week. If you follow this schedule, you’ll be at Level 2 of the lesson schedule by your third week. Whether you choose the online ukulele lessons package or opt for DVDs, you can repeat the lessons or pause for a little extra practice before moving on to the next technique. When you’re finished with all 39 foundation lessons, you’ll know how to play all the basic ukulele chords, and you’ll be able to change chords in time. You’ll have a good feel for some different strumming patterns, plus you will be able to enjoy jamming with other players – you’ll even know how to play some pretty impressive reggae grooves. The rest of the lessons focus on teaching more advanced techniques as you learn how to play a number of familiar, popular songs that are perfect for sing-alongs. 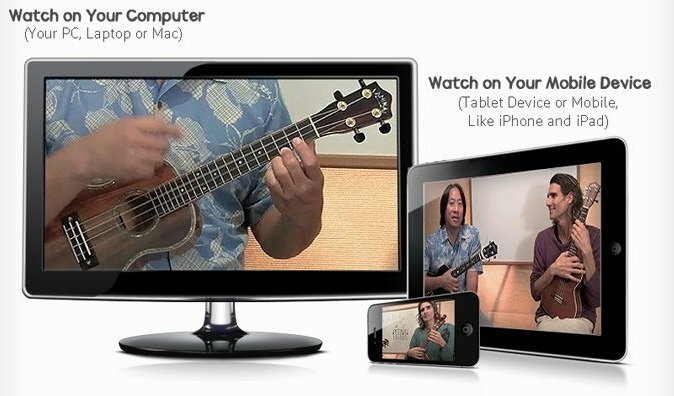 The Takeaway: Are Ukulele Buddy’s Online Lessons Worth the Price? 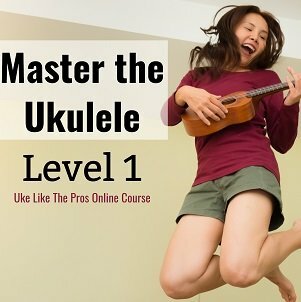 If you’re someone who has never even picked up a ukulele, or if you’ve spent a little time trying to pick up basic techniques but you’ve still got a lot to learn, then the cost of admission is going to be well worth it – less than a dollar per lesson, if you choose the online version of the program. Both the CD version and the and online ukulele lessons come with lots of extras including five digital books full of songs to add to your repertoire as you build your skills. There’s also a one-year money back guarantee, in the event you don’t enjoy your experience at Ukulele Buddy. Once you’ve finished with all 72 ukulele lessons in the program and put in some quality practice time (somewhere around 30 minutes per week), you’ll be able to play a wide variety of songs and you’ll be ready to sign up for advanced lessons with another instructor or at another site that caters to intermediate players who are ready to take their ukulele playing to the next level.